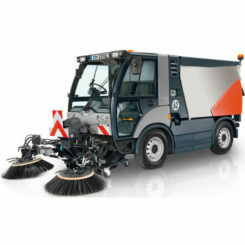 The ISAL PB200D Diesel Ride on Sweeper is a big ride on sweeper that is capable of cleaning large surface areas; theoretically the PB200D can cover up to 28,000 sqm per hour! 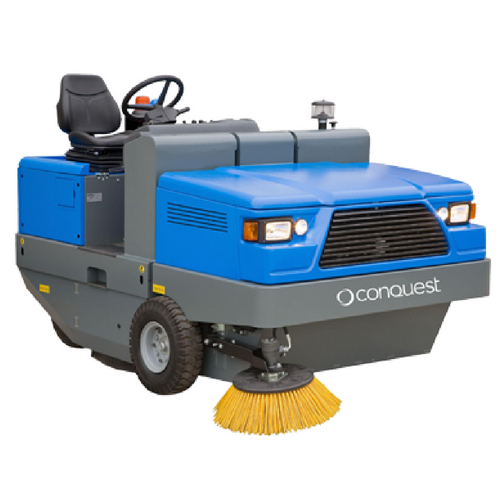 This machine is extremely easy to use and is very manoeuvrable. 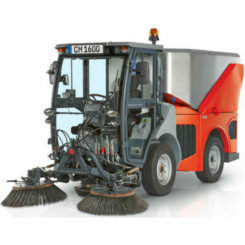 The ISAL PB200D comes along with, free floating self adjusting main brush, direct throw sweeping system, hydrostatic transmission with hydraulic drive forward and reverse, dust control by indirect vacuum fan on filter, hydraulic drive front brakes, power steering standard supplied and adjustable steering wheel, great ergonomic and absolute comfort for the operator, stainless steel dust hopper. 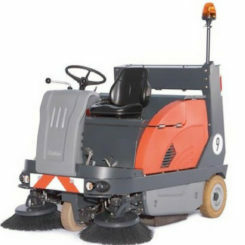 The ISAL PB200D is strong safe reliable. 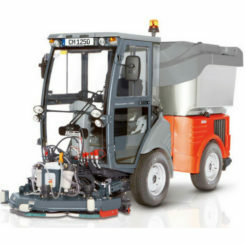 Click here to download the ISAL PB200D Information page.